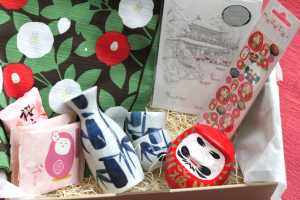 In August, “Natsu Matsuri” will be held all around Japan. 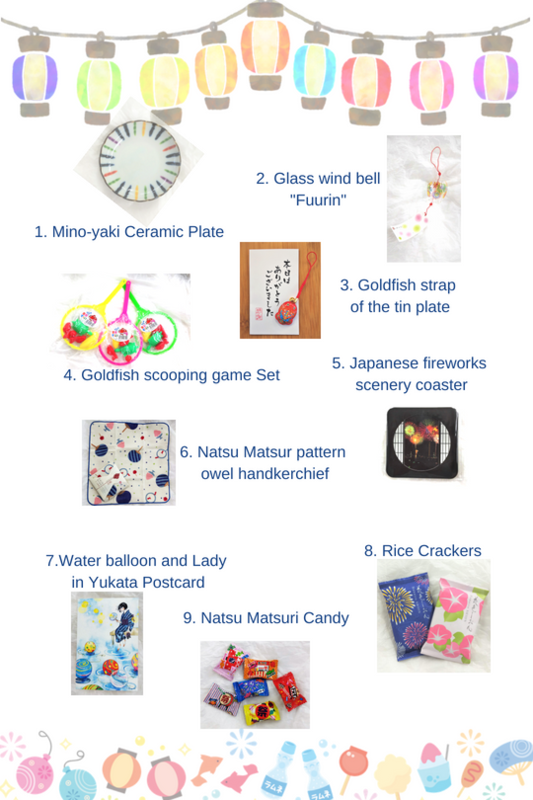 The interesting of Natsu Matsuri are many street stalls and fireworks. Various street stalls are lined up at the festival venue. What kind of street stalls do you think there is? 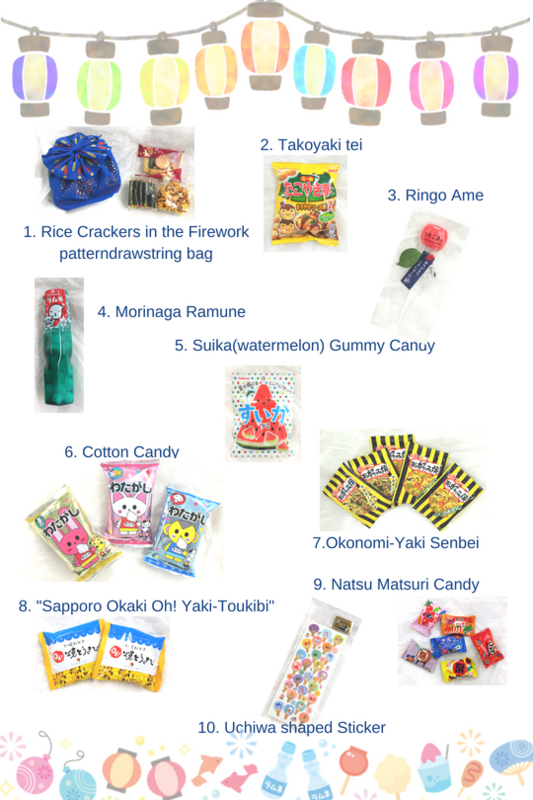 “Okonomiyaki”, “Yakisoba”, “Ramune juice”, “Ringo candy”, “Cotton candy” etc. 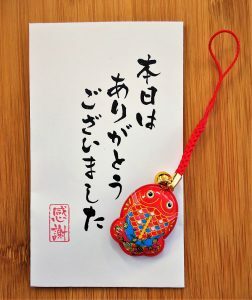 Besides food stalls, there are “Kingyo sukui” (goldfish scooping), “Fu-rin” (wind chimes) etc. Any people are looking forward to the street stalls. 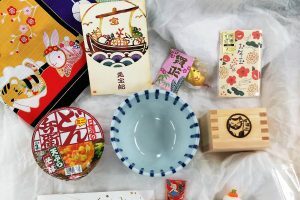 For Japanese, watching fireworks of summer festival is really exciting. The three big fireworks festivals in Japan are said to be “Omagari (Akita Pre. 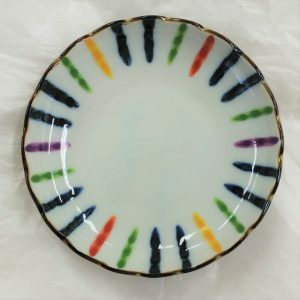 )” “Tsuchiura (Ibaraki Pre. )” “Nagaoka (Niigata Pre.)”. As for these fireworks displays, 18,000-20,000 firework goes up at an overnight. It is very beautiful and impressed. 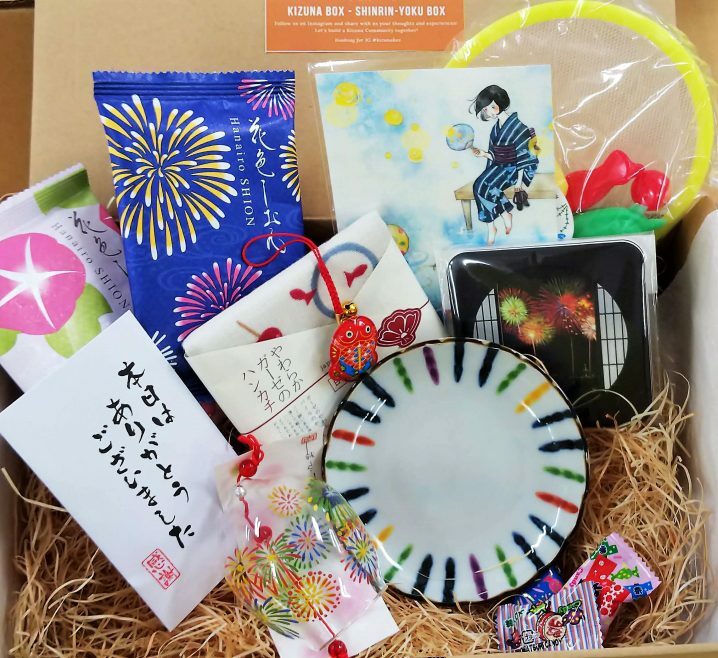 August’s Kizuna Box was delivered a vibrant Japanese summer Festival! 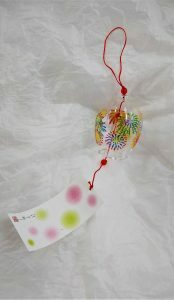 Please enjoy the fireworks design that makes you feel the summer and the sound of a wind bell blowing in the wind. Nostalgic and stylish strap. 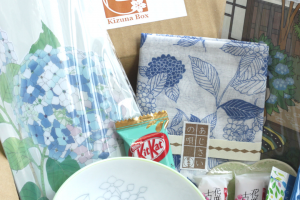 It was handmade one by one at “Katsushika Machi factory” certification factory in Katsushika, Tokyo. 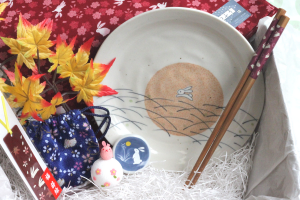 It is a set of scoops, turtle, swan, goldfish x 2, small balls. For water play such as a bath or pool! Japanese fireworks scenery from a window with this coaster. It is so beautiful, practical and useful. Popular gauze towel handkerchief. Thin, light and easy to use! 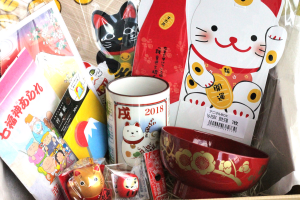 It will be fun to us with cute Natsu Matsuri patterns. It is a very romantic postcard drawn in watercolor. Do you feel the atmosphere of a nostalgic summer? This is the assortment of Rice Crackers. There are two kinds of packages: Fireworks and Morning glories. 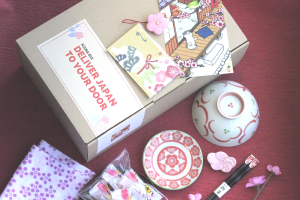 There are six kinds of packages, three of which are in your box. 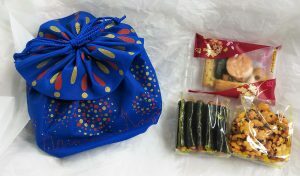 In a cute fireworks pattern drawstring, it is put three types of popular flavors of rice crackers. Appearance is Ringo Ame, and apple flavor. But there is not included apple. in a bottle shaped container. When you were tired, Ramune is most ideal. Because it’s Glucose 90%! It is gummy candy in the shape of a Suika(watermelon). There are three kinds of packages, one of which is in your box. When you open the bag, please finish eating that day. 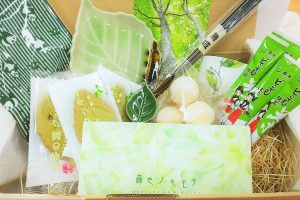 It is a rice cracker of “Okonomiyaki” taste using authentic foodstuff of freeze-dried. There are two kind of flavors, “Mayonnaise grilled rice cracker” and “cabbage grilled rice cracker”. It is a rice cracker of Hokkaido Limited. You can taste the awesome fragrance of corn and soy sauce. 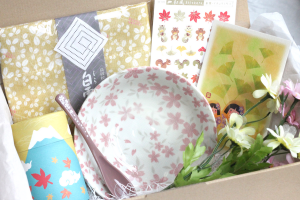 There are six kinds of packages, eight of which are in your box.